DVDStyler 3.0 Authoring Tool released is a cross-platform free DVD authoring application for the creation of professional-looking DVDs. 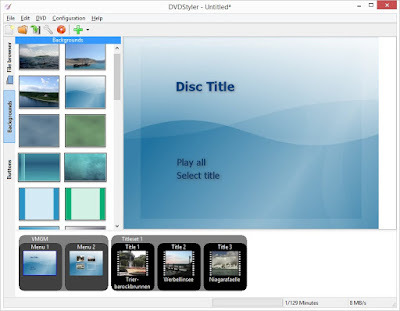 It allows not only burning of video files on DVD that can be played practically on any standalone DVD player, but also creation of individually designed DVD menus. It is Open Source Software and is completely free.